We are not alone in the North if the Ministry of Defence’s records of UFO sightings in the last decade or so is to be believed. Scores of worried people have filed reports after fearing strange lights in the sky were evidence of little green men – with one person even claiming they’d seen an alien in their home. Twenty six reports have been made of extra-terrestrial encounters since the year 2000, with fast moving, flashing lights the most common complaint. Other “sightings” include “a three dimensional diamond shaped object, approx. size of a large helicopter,” at Wolsingham, Northumberland in 2005, and someone that called 999 after seeing an “orange ball shape going across the sky on a flight path” in November 2009. In May 2003 someone reported a “black orb with five or six tassles underneath it” in Gateshead. While someone else in Hetton-le-Hole was disturbed by “many lights seen up in the sky” in August 2006. Some people were sure they had seen a UFO. One person reported “a black triangular UFO” that had three lights on Halloween in 2006. Somebody else was concerned by “two bright orangey/red lights moving towards Durham Tees Valley Airport.” These lights “flew steady, level and straight”. One of the more detailed accounts says “a silver pyramid that was rotating at a low speed and off centre” hovered over Sunderland in 2006. Across the UK there were 1999 UFO sightings looked into by the Ministry of Defence between 2000 and November 2009, when the MoD stopped counting. Nine people specifically mention aliens or something alien about their UFO sighting. Elsewhere in the UK someone in Bristol reported that “a big alien craft” landed on their house in 2008. It then apparently flew off towards the city. 1048 – Omar Khayyám born. Persian polymath, philosopher, mathematician, astronomer and poet. He also wrote treatises on mechanics, geography, mineralogy, music, and Islamic theology. Outside Iran and Persian speaking countries, Khayyám has had an impact on literature and societies through the translation of his works and popularization by other scholars. The greatest such impact was in English-speaking countries; the English scholar Thomas Hyde (1636–1703) was the first non-Persian to study him. The most influential of all was Edward FitzGerald (1809–83), who made Khayyám the most famous poet of the East in the West through his celebrated translation and adaptations of Khayyám’s rather small number of quatrains (Persian: رباعیات‎ rubāʿiyāt) in the Rubaiyat of Omar Khayyam. 1911 – Big Joe Turner born. American “blues shouter” (a blues-music singer capable of singing unamplified with a band) . Although he had his greatest fame during the 1950s with his rock and roll recordings, particularly “Shake, Rattle and Roll”, Turner’s career as a performer endured from the 1920s into the 1980s. 1913 – Charles Trenet born. French singer and songwriter, most famous for his recordings from the late 1930s until the mid-1950s, though his career continued through the 1990s. In an era in which it was exceptional for a singer to write their own material, Trenet wrote prolifically and declined to record any but his own songs. While many of his songs mined relatively conventional topics such as love, Paris, and nostalgia for his younger days, what set Trenet’s songs apart were their personal, poetic, sometimes quite eccentric qualities, often infused with a warm wit. Some of his songs had unconventional subject matter, with whimsical imagery bordering on the surreal. 1995 – Brinsley Le Poer Trench died. From 1956 to 1959 he edited the Flying Saucer Review and founded the International Unidentified Object Observer Corps. In 1967, he founded Contact International and served as its first president. He also served as vice-president of the British UFO Research Association (BUFORA). He was an honorary life member of the now defunct Ancient Astronauts Society which supported the ideas put forward by Erich von Däniken in his 1968 book Chariots of the Gods?. In 1975 he succeeded to the earldom of Clancarty on the death of his half-brother, giving him a seat in the British House of Lords. He used his new position to found a UFO Study Group at the Lords, introducing Flying Saucer Review to its library and pushing for the declassification of UFO data. Four years later he organised a celebrated debate in the House of Lords on UFOs which attracted many speeches on both sides of the question. Trench also claimed to know a former U.S. test pilot who said he was one of six persons present at a meeting between President Eisenhower and a group of aliens, which allegedly took place at Edwards Air Force Base on April 4, 1954. 1999 – Augustus Pablo died. Jamaican roots reggae and dub record producer, melodica player and keyboardist, active from the 1970s onwards. He popularized the use of the melodica (an instrument at that time primarily used in Jamaica to teach music to schoolchildren) in reggae music, and was a committed Rastafarian. That … the prisoner had repeatedly maintained, in conversation, that theology was a rhapsody of ill-invented nonsense, patched up partly of the moral doctrines of philosophers, and partly of poetical fictions and extravagant chimeras: That he ridiculed the holy scriptures, calling the Old Testament Ezra’s fables, in profane allusion to Esop’s Fables; That he railed on Christ, saying, he had learned magick in Egypt, which enabled him to perform those pranks which were called miracles: That he called the New Testament the history of the imposter Christ; That he said Moses was the better artist and the better politician; and he preferred Muhammad to Christ: That the Holy Scriptures were stuffed with such madness, nonsense, and contradictions, that he admired the stupidity of the world in being so long deluded by them: That he rejected the mystery of the Trinity as unworthy of refutation; and scoffed at the incarnation of Christ. 1843 – Frederick Abberline born. 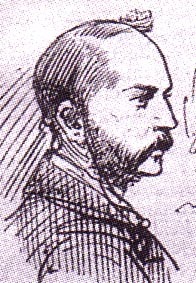 A Chief Inspector for the London Metropolitan Police and was a prominent police figure in the investigation into the Jack the Ripper murders of 1888. As such he’s been represented (sometimes not very authentically) in numerous works of literature, cinema and television. 1880 – Joshua A. Norton died. The self-proclaimed Imperial Majesty Emperor Norton I, was a celebrated citizen of San Francisco, California, who in 1859 proclaimed himself Emperor of the United States and subsequently Protector of Mexico. Although he had no political power, and his influence extended only so far as he was humored by those around him, he was treated deferentially in San Francisco, and currency issued in his name was honored in the establishments he frequented. Norton collapsed at a street corner, and died before he could be given medical treatment. The following day, nearly 30,000 people packed the streets of San Francisco to pay homage. 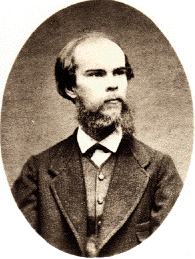 1896 – Paul Verlaine died. French poet associated with the Symbolist movement. He is considered one of the greatest representatives of the fin de siècle in international and French poetry. 1897 – Dennis Wheatley born. English author whose prolific output of stylish thrillers and occult novels made him one of the world’s best-selling writers from the 1930s through the 1960s. His Gregory Sallust series was one of the main inspirations for Ian Fleming’s James Bond stories, but he’s perhaps better known for titles such as The Devil Rides Out, To The Devil – A Daughter, and The Ka of Gifford Hillary. He even had a crack at the nascent UFO market (Star Of Ill-Omen, 1952). 1935 – Elvis Presley born. 1947 – David Bowie born. 1948 – Kurt Schwitters died. German painter who worked in several genres and media, including Dada, Constructivism, Surrealism, poetry, sound, painting, sculpture, graphic design, typography and what came to be known as installation art. 1981 – A local farmer reported a UFO sighting in Trans-en-Provence, France, claimed to be “perhaps the most completely and carefully documented sighting of all time”. Renato Nicolaï, a fifty-five year-old farmer, heard a strange whistling sound while performing agricultural work on his property. He then saw a saucer-shaped object about eight feet in diameter land about 50 yards (46 m) away at a lower elevation. Nicolaï claimed the object took off almost immediately, rising above the treeline and departing to the north east. It left burn marks on the ground where it had sat. 1943 – Nikola Tesla died. Serbian inventor, electrical engineer, mechanical engineer, physicist, and futurist best known for his contributions to the design of the modern alternating current (AC) electrical supply system. 1948 – Kentucky Air National Guard pilot Thomas Mantell crashed and died while in pursuit of a supposed UFO. The cause of Mantell’s crash remains officially listed as undetermined by the Air Force. 2001 – James Carr died. American Rhythm & Blues and soul singer, who first made the R&B charts in 1966 with “You’ve Got My Mind Messed Up”, followed by his most famous song “The Dark End of the Street”, written by Dan Penn and Chips Moman. He died from lung cancer in a Memphis nursing home, aged 58. 1924 – Lee Dorsey born. American singer, much of his work was produced by Allen Toussaint with instrumental backing provided by the Meters. Dorsey met Toussaint at a party in the early 1960s, and was signed to the Fury record label. The song that launched his career was inspired by a group of children chanting nursery rhymes – “Ya Ya” went to number seven on the Billboard Hot 100 in 1961, selling over one million copies, and was awarded a gold disc. 1945 – Lemmy born. AKA Ian Kilmister, best known as the lead vocalist, bassist, principal songwriter and the founding and sole constant member of Motörhead as well as a former member of Hawkwind. 1980 – Witnesses reported the first of several sightings of unexplained lights near RAF Woodbridge (then used by the US Airforce), in Rendlesham Forest, Suffolk, England. Dozens of USAF personnel were eyewitnesses to various events over a two- or three-day period. Some ufologists believe it is perhaps the most famous UFO event to have happened in Britain, ranking amongst the best-known UFO events worldwide. Along with the Berwyn Mountain UFO incident, it has been compared to the Roswell UFO incident in the United States, and is sometimes referred to as “Britain’s Roswell”. The Ministry of Defence (MoD) denied that the event posed any threat to national security, and stated that it was therefore never investigated as a security matter. Later evidence indicated that there was a substantial MoD file on the subject, which led to claims of a cover-up; some interpreted this as part of a larger pattern of information suppression concerning the true nature of unidentified flying objects, by both the United States and British governments. 1897 – Marguerite Durand founded the feminist daily newspaper La Fronde, in Paris. Durand, a well known actress and journalist, used her high-profile image to attract many notable Parisian women to contribute articles to the newspaper, which was run and written entirely by women, and gave extensive coverage to a broad range of feminist issues. Circulation for La Fronde briefly reached a peak of 50,000 but in September 1903, financial problems forced the paper to cut back to a monthly publication, and to close altogether in March 1905. 1905 – In France, the law separating church and state was passed. Enacted during the Third Republic, it established state secularism in France. The law was based on three principles: the neutrality of the state, the freedom of religious exercise, and public powers related to the church. This law is seen as the backbone of the French principle of laïcité (a concept denoting the absence of religious involvement in government affairs as well as absence of government involvement in religious affairs). 1965 – The Kecksburg UFO incident – A large, brilliant fireball was seen by thousands in at least six U.S. states and Ontario, Canada. It streaked over the Detroit, Michigan/Windsor, Ontario area, reportedly dropped hot metal debris over Michigan and northern Ohio, starting some grass fires and caused sonic booms in Western Pennsylvania. It was generally assumed and reported by the press to be a meteor after authorities discounted other proposed explanations such as a plane crash, errant missile test, or reentering satellite debris. However, eyewitnesses in the small village of Kecksburg, about 30 miles southeast of Pittsburgh, claimed something crashed in local woods. A boy said he saw the object land; his mother saw a wisp of blue smoke arising from the woods and alerted authorities. Another reported feeling a vibration and “a thump” about the time the object reportedly landed. 1979 – The eradication of the Smallpox virus was certified, making smallpox the first and to date only human disease driven to extinction.